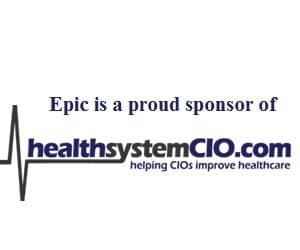 The career of a health system CIO has many ups and downs and, at some point, you may decide to leave your current employer. As you network with colleagues, talk to friends at conferences, or discuss opportunities with recruiters, you will be asked, “Why do you want to leave your job?” It is important to have your answer ready and prepared for when you get these inquiries. Others may have viewed your job with envy and thought it was a perfect position for you in a perfect company, so you need to sound credible when you say that it may be time to move on. As long as you’re being honest and accurate, these are all legitimate reasons to look elsewhere. Do not say anything negative about your current employer and employees. This is a small, close industry — what you do or say travels through many channels quickly. Use your references wisely. Do not list them on your resume or forget to call or stay in touch with them. Don’t use references from jobs in the distant past or from your current job, unless they know you are leaving. Use caution regarding who you tell about leaving your job. If you hear about an opening from a friend or colleague, don’t be afraid to inquire about it and express your interest in a confidential manner.